Heading to the courthouse this morning for the continuation of Dellen Millard’s first-degree murder trial. Follow along for updates. Today we’ll hear closing submissions from the Crown and defence. It’s expected the judge will then reserve judgement for a date in the future, so it’s likely this will be the last court date for the foreseeable future. Court is now underway. Crown Jill Cameron is starting with her closing submissions. "Dellen Millard is guilty of first degree murder. There is no other logical inference you can draw from the evidence before you," Cameron says, adding that Millard had the means, motive and opportunity to shoot his father while he was sleeping. She says the coroner and police got the case wrong at the outset, when it was ruled a suicide. 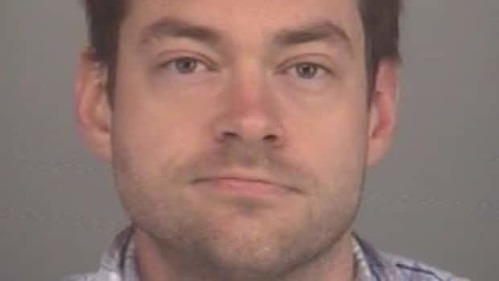 "Dellen Millard shot his father in the eye. The path of least resistance. A surefire path to death." Cameron says in November of 2012, "everything was coming up Wayne." Cameron says Wayne Millard's back injury was improving. She is also pointing to Wayne Millard's "budding romance" with Janet Campbell. "The night he died, they talked into the wee hours," Cameron says. "He was happy." Cameron says that it defies common sense that right after a nice phone conversation with Campbell, Millard would "so violently and dramatically end his life." Cameron says things were moving in the right direction with the MillardAir business, too. "In my submission, it was hardly panic time," Cameron says. Cameron also says Dellen Millard was lying in his police statement, when he said the company was essentially out of money. The judge is interjecting in the closing to ask how she can conclude that. "I don't have any financial evidence," the judge says. Cameron says Wayne Millard was "moving forward with Janet Campbell," and had made plans to spend time with her on her birthday, on Dec. 4. "He had purchased a gift for her. The gift was flying lessons." She says that shows he was looking to experience something with her over a longer term. "Hardly a man, in my submission, who is on the brink of suicide." Cameron says Millard was also planning to open the hangar for about about six months after his death. "Things were moving along as planned," Cameron says. Cameron says all this future planning shows Wayne Millard was not intending to kill himself. She says Millard was "Excited for his future, and the future of his company ... this is not a man who after days, hours or weeks later ... was going to kill himself." Cameron now pointing to Millard getting the MRO certificate for the company, and how excited he was for this. Cameron saying Wayne Millard did have a problem with drinking. She says he told Janet Campbell about it, and he was open with this. Cameron says she submits that Wayne Millard wasn't drunk at the time of his death. His blood alcohol was at 0.85 -- which we've heard could have been due to decomposition. "In my submission, Wayne was shot in the position he was photographed in," Cameron says. She says the only mobility he would have had is with his left arm. "There is no evidence the body was moved in any significant way after he was shot." Cameron says rigor mortis had fully set in to Millard's body -- that means it would have been almost impossible to move his limbs. "If you look at this picture ... logic and common sense tells you Wayne was shot when he was sleeping," Cameron says. "Look at this picture ... it goes without saying that one cannot deliberately shoot ones self when sleeping." Cameron says it would be very difficult for Millard to shoot himself in the position he was found. "It is incredibly awkward -- and more than that, it doesn't make sense," Cameron says, noting the defence has said Millard was suicidal. "That person wouldn't want to make a mistake. They wouldn't want to miss ... you would just have to look at this picture to decide Wayne did not shoot himself." Cameron says the Crown has "proven" that the marks on Millard's pillow were gunshot residue -- even though they were never tested. Cameron says Millard could not have put the gun on the position on the pillow where gunshot residue was found. "Just look at the photo and asked yourself how. In my submission, it is impossible." Cameron says Millard would simply not shoot himself in this position. "Why would he reach and contort and stretch his hand to that spot to end his life? He wouldn't." "Wayne did not fire this gun," Cameron says, emphatically. Cameron says Dellen Millard had to make it look like Wayne Millard fired the gun. "He wasn't encumbered by anything. He could press down on that pillow," she says. "It is a surefire path to death," Cameron says. "Whoever pulled that trigger did not want to take any chances." "Wayne did not kill himself by shooting himself in the eye," Cameron says, adding the Crown has proven that beyond a reasonable doubt. She says the coroner and responding police got it wrong at the time. "They believed what Dellen Millard told them," she says. "Wayne was murdered by Dellen Millard," Cameron says again. Cameron now talking about the business meeting that happened at Wayne Millard's home on Nov. 28. Cameron now talking about evidence from Millard's housekeeper on Nov. 28. She said in a statement that day, Wayne Millard had told her to put out some heavy clothes for him for the next day, as he was going to the hangar. Cameron now saying Wayne Millard sent an email on Nov. 29, at 2:50 a.m. "So we know he was alive then." Cameron now saying that Millard died sometime between 3 a.m. to 5 a.m. on Nov. 29. She says in that time, Dellen Millard was at the home, pointing to his phone records, and the testimony of Marlena Meneses. Cameron is now trying to preemptively counter an argument she thinks will come from Millard's lawyer in his closing, where he will say Marlena Menses was a liar. "Marlena is a truthful witness," Cameron says. Cameron says everything Meneses testified to here is corroborated by other evidence. Cameron says Millard's lawyer is going to say the night Meneses testified about Millard sleeping over happened on another night -- not Nov. 28. Cameron now showing every call Millard made to Pizza Pizza or Pizza Nova from his cell phone. There are dozens of calls. "There is only one call to Pizza Pizza from Oakville, that entire year. It just so happens to be on November 29, 2012, at 12:36 a.m.," Cameron says. "This is the night Wayne died." Cameron is going through this exercise to back up Meneses' testimony. Cameron says Millard's movements are corroborated by his phone records. CBCPhone records entered as an exhibit at Dellen Millard's first-degree murder trial for the death of his father indicate the 36-year-old was at his father's home on the day he died, the Crown says. Cameron now pointing to how "strange" it is for Millard to leave his car in Oakville and go on a "secret date." She says this was an attempt by Millard to "bolster his alibi" by leaving his phone and credit card in Oakville. "Why does he leave his main phone behind? That doesn't make any sense," Cameron says. Cameron says Millard's second phone was activated on Nov. 1, 2012. That's the day Wayne Millard got the MRO certificate for his business -- and Cameron says that's a business "Dellen Millard didn't want" and that timing was "no coincidence." She says Millard's inheritance money was being "funnelled out" for that business. Cameron says Millard had to wait around for his father to fall asleep before shooting him. "If he had nothing to hide, he would have told the police about his whereabouts," Cameron says. Cameron now talking about motive. She says it centres around "freedom, control, power and money." "Dellen Millard did not like what Wayne Millard was spending his money on," Cameron says. "Wayne Millard was spending the family money creating a legacy for Dellen Millard that he didn't want."